Each year, I make recommended summer reading lists to help support your children in continuing to read throughout the break. While none of these books are required, summer reading is FUN and keeps the kids' brains and vocabularies sharp! This year, I compiled all the books as Amazon Wish Lists complete with descriptions of each title. That way, if you want to purchase any books, it's as easy as the click of a button. Don't forget to purchase via your Amazon Smile account to earn $ for HPA! If you'd prefer to buy from a local book store or checkout from your local library, you can easily print the lists or just scroll through them on your phone. Each grade-level list has age-appropriate suggestions including fiction, nonfiction, poetry and graphic novels to give you a variety of wonderful books to choose from. 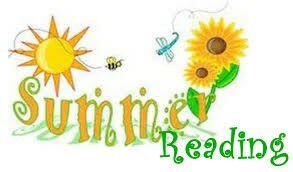 I hope this is helpful and wish you a summer full of great reading!